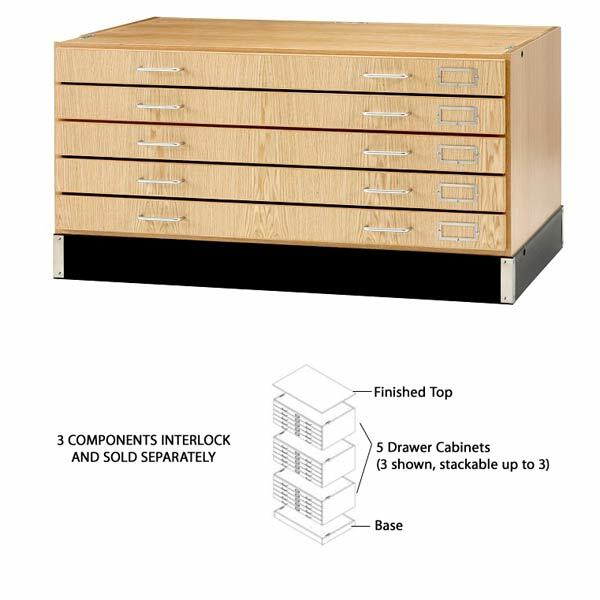 Protect and store your art work and drawings using this all wood system that holds up to 24"x36"paper. Up to 3 units (15 drawers) can be stacked providing you with ample storage. Start with the base unit containing 5 drawers. 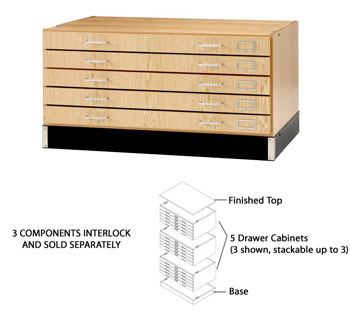 For additional storage add a 5 drawer stackable file and complete your unit with the 5 drawer flat file with a finished top. All three pieces are interlocking to each other or can be independent of each other.